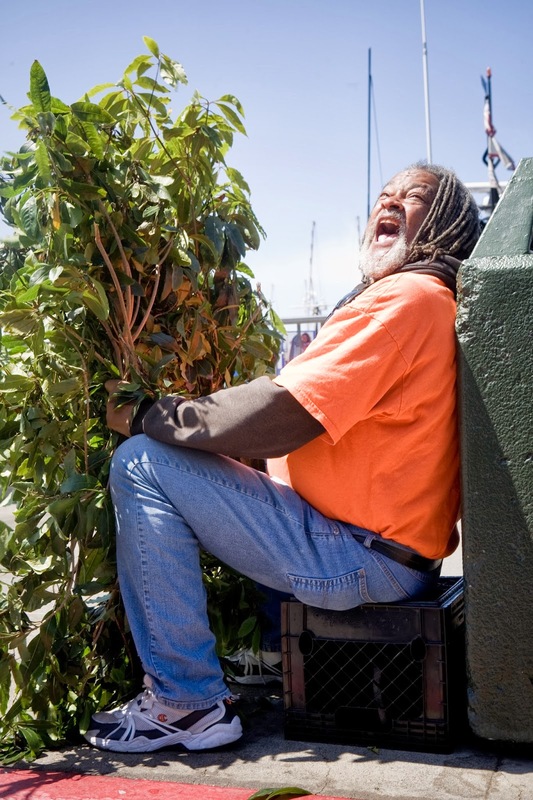 Today's post is inspired by the recent passing of Greg Jacobs, who worked as the Bushman at Fisherman's Wharf in San Francisco for over 20 years. He would carefully select and weave together tree branches then sit behind the leaves, hidden only to the most distracted people. As tourists passed, he would shout and move the bushes to startle them. Greg had no end of creative banter to encourage people to donate for the entertainment he provided, "I made you holler, give me a dollar". Those trying to snap a free photo would hear, "If I took a picture of your bush, I'd pay you." I got to know him working down at the Wharf, rolling by his spot with my group of tourists on segways. He would shout to them, "Tip my wife we've got 13 kids." Later I told them, "I don't know why he says that we only have 6." He made the best Wharf husband. While the people he scared had a love or hate relationship with him. He was beloved by me and the other people that work at the Wharf. You can see why by watching this 10 minute documentary I made two years ago. 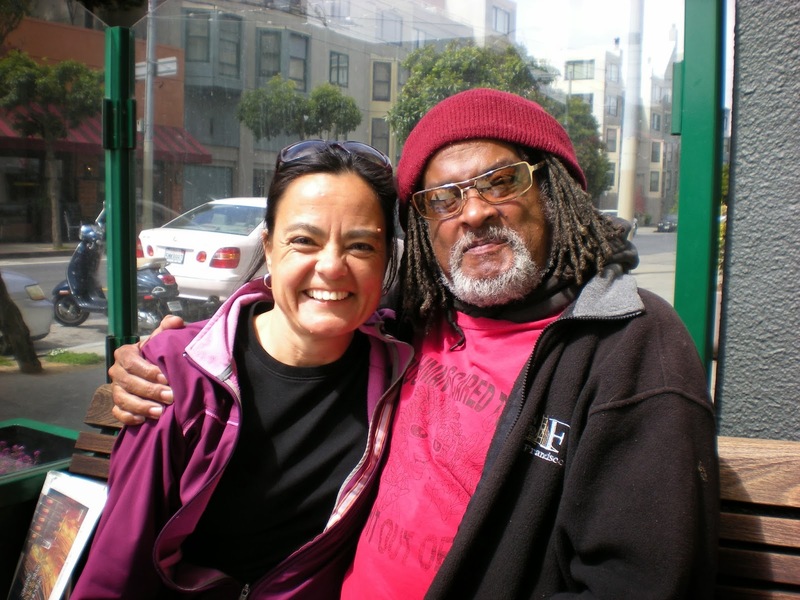 I will miss him and want to use this Feel Good Friday to celebrate not only Greg, but all the other street performers that put their talent and energy out there every day with no guarantees of recognition or reward. If you live in the Bay Area, you've seen them at the Wharf, outside the theater, or in the BART stations. You can also find them in front of every major tourist attraction and landmark, worldwide. They sing songs, do magic tricks, paint themselves silver, drum on plastic buckets, play steel drums, twist balloons into flowers and get this song stuck in your head. So the next time you see someone busking for their rent money, take a moment to watch, listen or participate. If you can toss a few bucks in their hat, even better. You never know when it will end.